Endophytes benefit host plants by increasing biotic and abiotic stress tolerance. 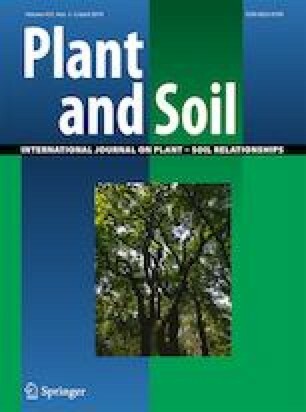 The aims of this study were to evaluate endophytic community (EC) of Arabis alpina, a Pb-Zn hyperaccumulator and investigate role of EC in host plants metal tolerance. EC of A. alpina growing at Pb–Zn mining area was evaluated by Illumina MiSeq sequencing. Pot experiments were conducted for the role of EC in metal accumulation and tolerance of host. Fungal EC of shoots showed greater similarity to roots than to seeds; and Chao1 and Shannon indices for shoots and roots were significantly higher than for seeds. Inoculation of EC significantly improved host plants growth under multi-metal stress (p < 0.05, T test). The shoot length, root length and dry biomass of the treatment were improved when compared with the control. EC inoculation significantly altered accumulation of Pb, Cd and Zn in plant tissues. Particularly decreased the accumulation of Pb (p < 0.05) and Cd (p > 0.05) in the shoots of the treatment. Hyperaccumulator A. alpina growing in metals contaminated soils was colonized by a diverse assemblage of endophytic fungi, and the EC played a key role in increasing host plants metal tolerance. Vijay K. Sharma and Xin-ya Li contributed equally to this work. The online version of this article ( https://doi.org/10.1007/s11104-019-03988-0) contains supplementary material, which is available to authorized users. The authors are thankful to Prof. Zhiwei Zhao for his assistance in plant identification. The authors are also grateful for support from USDA-NIFA Multistate Project W3147, and the New Jersey Agricultural Experiment Station. This study was financially supported by Natural Science Foundation of China (31560566, 41867026, 31360128).